Chad has been with the Markin Mickelson Financial Group for over 20 years. He holds the Chartered Retirement Planning Counselor(SM) (CRPC(R)) and CERTIFIED FINANCIAL PLANNERTM professional certifications along with pertinent securities registrations. 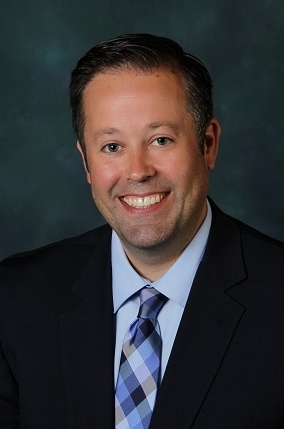 While attending the University of Wisconsin - Eau Claire, Chad earned a Bachelor of Business Administration degree in Business Economics and an Advanced Business Communications Certification. Chad is a member of the Kiwanis Club of Eau Claire and served as President for the 2013-2014 year. Chad's wife, Sara, is a Registered Nurse for an urgent care clinic. They have two children named Lilah and Max. The family enjoys traveling and the north woods. 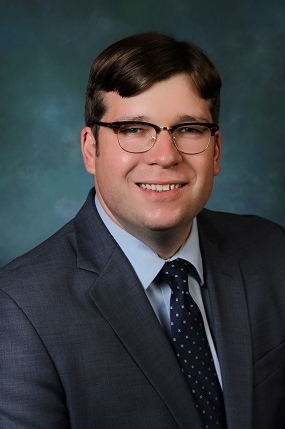 Clint began his career with A.G. Edwards a predecessor firm of Wells Fargo Advisors in the Minneapolis, MN office in 2005 and moved to the Eau Claire, WI office in 2007. Clint received his Bachelor of Arts degree in Entrepreneurship from the University of St. Thomas in St. Paul, MN. In addition to applicable securities registrations, Clint holds the Chartered Retirement Planning Counselor(SM) (CRPC(R)) and CERTIFIED FINANCIAL PLANNER™ professional certifications. Currently, Clint is the chair of the Big Brothers Big Sisters Chippewa Valley Regional Board and sits on the Beaver Creek Reserve Endowment Board as well. He is the past chair of the United Way's Emerging Leaders Advisory Council and he sat on the United Way of the Greater Chippewa Valley Board of Directors. In addition, he was an Eau Claire Area Chamber Ambassador and sat on the Eau Claire Area Chamber Annual Meeting Committee. Before joining A.G. Edwards, Clint was a chef for four years at the St. Paul Grill in St. Paul, MN. He and his wife, Brianne, have two children, Jameson and Josephine. In their spare time, they enjoy spending time with family, entertaining, and reading. 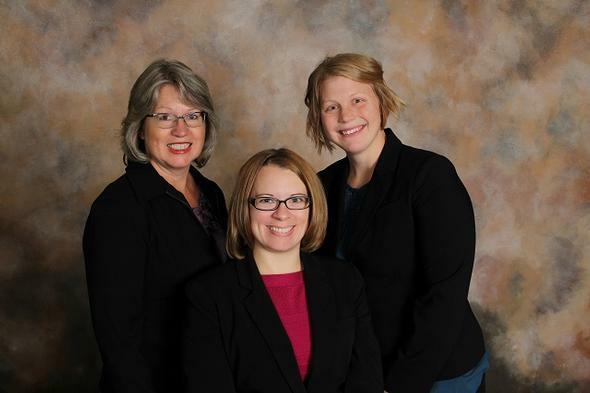 Kim (L), Jodi (C), and Katie (R) provide the key to serving our clients by providing a wide variety of services. Kim prepares client meeting reports, researches cost basis, updates client contact information, and manages appointment scheduling. Kim lives in Chippewa Falls, WI with her husband, Dan. They have four grown children and three grandchildren. Kim enjoys gardening, antiquing, painting and quilting. Jodi works closely with clients to open new accounts, service existing accounts, answer client questions, and is also the groups managed account liaison. Jodi lives in Eau Claire, WI with her husband, Travis, and two children, Ally and Owen. In her spare time she enjoys reading and spending time with family and friends. Katie prepares client financial reviews, manages appointment schedules, and works closely with our 529 plans, annuities and retirement plans. Katie holds her Chartered Retirement Planning Counselor(SM) (CRPC(R)) designation, Series 7 registration, Insurance Licenses, and is a Notary Public. Katie lives in Chippewa Falls, WI with her husband, Andrew, and they have three children, Gabriella, Jeremiah and Adelynn. In her spare time she enjoys spending time with her family, gardening, hunting, fishing and camping.